Invest In a Laundry Basket: A great way to keep the laundry room more organized and to make laundry a little easier is to invest in a good laundry basket. Ideally, you want to find one that will allow you to pre sort your clothes prior to laundry day. Usually they come with separate compartments to keep colors, whites and delicate’s separate This will make washing clothes way easier as you can now skip the sorting step! Create Folding Space: Giving yourself a dedicated space to fold and organize laundry will help you stay on top of the process. Whether it’s a small table or counter top space, give yourself room to fold your laundry so it can be done as soon as a load comes out. Then laundry can then be carted directly to the right spot and won’t take up space in other rooms as it waits to be folded. Keep Laundry Tips Handy: To make stain removal a simple process, create a cheat sheet for stain removal! Find a cute way to hang a small sign or framed note that details the best way to remove stains and hard to get out marks. It will save you from looking it up and the stain can be treated immediately, even if you can’t get to washing it right away. Washer & Dryer Clean: An important step to make laundry day easier, is to make sure your laundry set is working well! 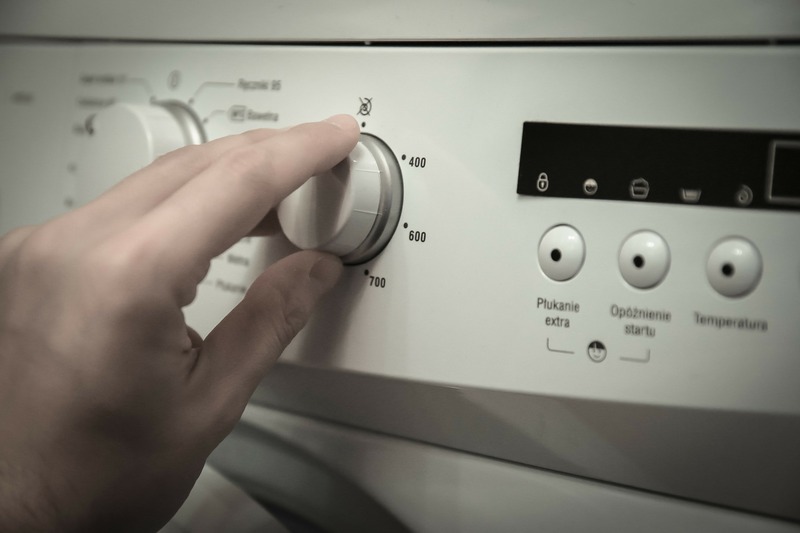 Every six months or so, try to clean out your washer and dryer to keep them both running the best they can. Clean any lint from the dryer, adjust settings as needed, and clean the inside of the washing machine to remove any residue that may be hanging on. Keep A Jar Handy: There is nothing worse than doing a whole load of laundry, only to realize something important was left in the pocket! Create a laundry jar that can hold anything important that you might find in the pockets of your clothes. Not only will this make for a cleaner load of laundry, it will also prevent one of these small items from damaging the washer or dryer. Do you have any tips that make laundry day easier? Share them with us below!